With 30 prizes for top spots, try your luck and support the Thunder Bay River Center. 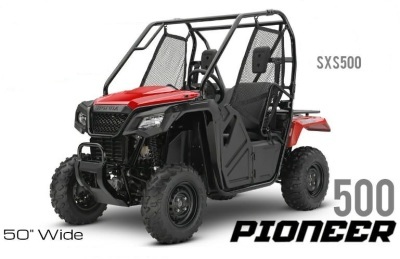 Battle the punishing climate for a shot at a Honda Pioneer Side by Side. first prize, but not exactly as shown. Winner is responsible for tax and title fee. Be one of the first to weigh in a fish and you win a t-shirt! If you weigh in the 100th fish you win a $100 gift card from Walmart! You will notice that first place is the most valuable prize, however the rest of the prize grid thru 30th place is random. So even though your 5th place fish may be bigger, the 30th place prize may be more valuable. Just to keep it interesting!